The COEX InterContinental Seoul is delighted to announce the implementation of a new "Meeting Package." This program includes not only the use of a meeting room (suitable for small or medium-sized gatherings) but also a business lunch at the hotel's restaurants and two coffee/tea services during your meeting. This package is available for meetings of from 10 to 20 persons held on weekends and Mondays. 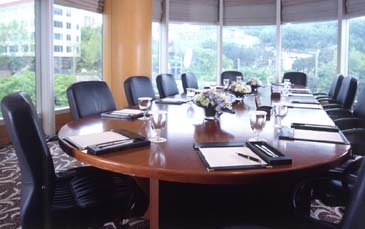 All of these packages feature no extra charge for the meeting room, which comes with a flower decoration, memo pads, and pens on the meeting table. The meeting room also has a whiteboard and flip chart available for use.